Preserve the showroom shine of your Porsche with Porsche Car Care Supplies. This month you can save 10% and keep your Porsche looking like the day it was new! *Must provide coupon at time of write up. Cannot be applied to previous sales. See your Porsche service or parts consultant for complete details. Part #000-044-002-89. Keep things neat and tidy inside the luggage compartment of your Porsche 911 or Boxster with a Luggage Compartment Liner. On sale this month! *Must provide coupon at time of write up. Cannot be applied to previous sales. See your Porsche parts consultant for complete details. P/N 99704400004. Expand the cargo-carrying capabilities of your Porsche 911. Save on a Roof Transport System designed specifically for your 911 and bring your gear along for the journey! *Must provide coupon at time of write up. Cannot be applied to previous sales. See your Porsche parts consultant for complete details. P/N 99680110500. Add impressive sportscar resonance and an intense motorsports-inspired sound with a Porsche Sport Exhaust System. This month only you can save 10% off parts and labor. *Must provide coupon at time of write up. Price varies depending on model. Cannot be applied to previous sales. See your Porsche service or parts consultant for complete details. Add a stylish touch to your Porsche with a set of Wheel Hub Center Covers. On sale this month only, these covers will fit all Porsche models equipped with 19-inch wheels. *Must provide coupon at time of write up. Cannot be applied to previous sales. 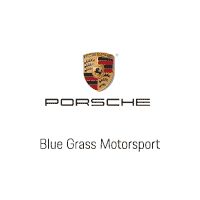 See your Porsche parts consultant for complete details. P/N 00004460702. Safeguard the interior of your Porsche while also adding a personalized touch with a set of Porsche Floor Mats. Save 10% this month! Enjoy your favorite beverage with a stylish Porsche Thermal Mug. New colors are now in stock! *Must provide coupon at time of write up. Cannot be applied to previous sales. See your Porsche parts consultant for complete details. P/N WAP-050-620-0K, WAP-050-610-0K, WAP-050-064-0H, WAP-050-650-0J, WAP-050-063-0H and WAP-050-550-0K.